The branch of dentistry which specializes in dealing with the dental problems of the children and dental treatment for children below 12-13 years is called as pedodontics or children’s dentistry. Pedodontics involves all the branches of dentistry like endodontics, periodontics, prosthodontics as well as orthodontists. This indicates that children need not take any kind of stress to get their treatments done. 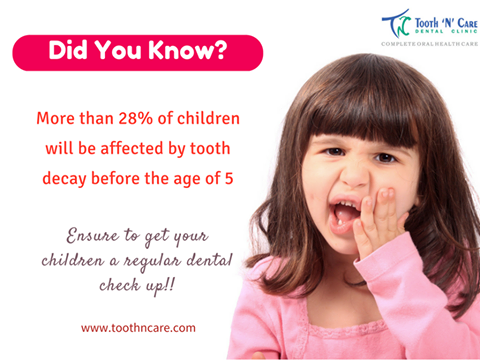 In case children dont co-operate with the dentists then parents should discuss regarding this and ensure that their child is absolutely fine. Various sedative techniques are used in order to ensure that the patients are fine or not. The growing jaws leads to difficulty in the maintenance of the teeth and the surrounding structures in the patients mouth. The aim of the childrens dentistry is that there is much improvement in the oral condition of the patient. Thus, dental treatment for childrenhas made it a point to treat the children really well and appreciate and motivate patients in the best way.